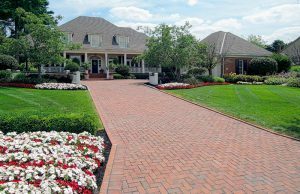 Residential – Meyers Landscape Services, Inc.
Meyers Green Services is our residential lawn care division that takes care of everything from mowing to landscape. We continuously strive to use the best materials and equipment available to keep your lawn healthy and looking its best all year. Meyers Green Services thrives on exceeding our customers expectations. We take pride in every property that we maintain and we use quality products for all services. ​Weekly mowing service includes string trimming edges and blowing off all hard surfaces. Weekly plant bed weed control service includes chemically spraying weeds in open plant areas. Weed control service requires sign up of lawn mowing service. Fertilizer formulated to create a green and healthy lawn. Full year program consists of 5 Fertilization Applications. Weed control, grub control, grub curative, turf disease protection are some of the turf care applications that we offer. Lawn aerations break up thatch and improves soil structure. It also allows water, nutrients and fertilizers to reach roots. Aerations also promote healthy root growth and overseeding helps to fill patchy and bare areas. Spring cleanup involves cleaning of all beds, removal of leaves, dead plant material, sticks and any unwanted material. Fall Cleanup involves cleaning up dead pant material which reduces the risk of turf and landscape parasites and diseases. 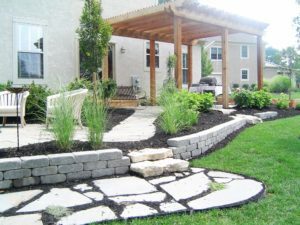 Edging and mulching is used to provide definition and depth to new and existing landscape. Edging creates depth and holds much in beds while mulching adds color and definition to all areas. 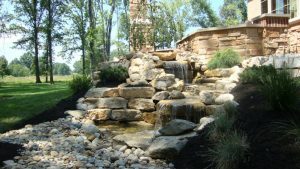 Our landscapes are guaranteed to suit your budget, taste and lifestyle. Our experienced team will guide you through design, budgeting, formal estimating, project management and post-installation maintenance to ensure your new outdoor space reaches its full potential and your experience with us is an enjoyable one.